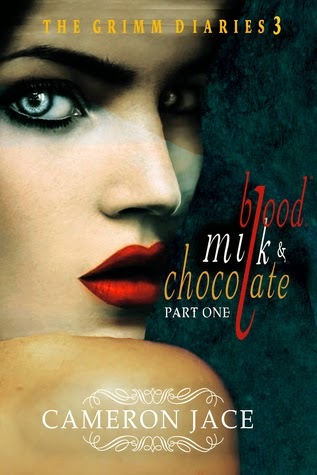 I am delighted to participate in the 'Blood, Milk & Chocolate by Cameron Jace book blitz' hosted by Xpresso Book Tours. If you think the cover is intriguing, check out the synopsis and excerpt below. Don't forget to enter the International Giveaway at the bottom of this post for the first three eBooks in the series! I have been accused of being malicious and evil. I, the Snow White Queen, have a story to tell. The true story and what has really happened. How it all happened. Why the Brothers Grimm altered the truth, letting you think it was a fairy tale. When and how the tale took place. And above all, why I did what I did. Why you haven't been told the truth for centuries. The truth about me and the truth about the not-so-innocent Snow White. Here is my side of the story. You will never look at Snow White the same way again. For a moment, I thought this was it. This was the end of our short-lived love story, where a beauty—supposedly me at the time, before the world got to me—was going to get bitten by the beast, Angel Von Sorrow. This was the moment when I was about to realize that my mother was right in not approving of our love. This was the moment when I realized that trying to break the rules by staring at my reflection in the Pond of Pearls was what brought me here. This…was the end of me.Maybe the mermaids were right; there was a reason why me and Angel shouldn't have been together.I closed my eyes, my vein pulsing and ready to be sliced open by the one I loved dearly. Was I going to turn into a vampire like him? Were we both going to be gifted—and cursed—with immortality? I had no idea. All I did was wait for his teeth to sink into my soul.